Process crimes.. That's all you got Bob? But none of the Trump associates connected to Trump have been charged with crimes related to collusion. Telling... about sums up the phony Russian investigation, right Bob? McCabe wrote, according to a memo McCabe filed at the time. "He then stated that I probably knew what was said," after which the sentence is redacted. 2. Radical left will never control our borders! I will never let that happen! -2750 Border Agents and LE Prof.
-protect migrant children from exploitation by applying for asylum in their own countries. 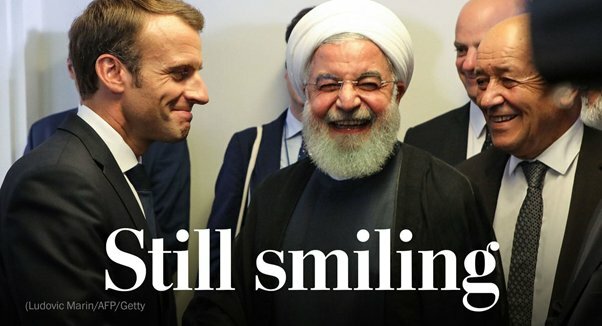 Let’s talk about @IshaanTharoor’s latest @WashingtonPost piece, providing you a biased image & depriving you of the truth about the status quo in #Iran. First of all, to understand why @IshaanTharoor would write such a piece, I would like to remind everyone that he is just another #Iran regime apologist/lobbyist whom I’ve debunked before.